Artificial Intelligence, which is also known by the name as ‘Ai’ has done some amazing feats in the recent past. The creation of an AI robot which was awarded a citizenship of the country, Saudi Arabia. That is just the initial starting of what AI can do. Anything we do in the world of recent technology is to achieve a higher state of luxury and comfort. Machine Learning and AI which are interdependent can disrupt the way we see things today, customer experience is the core idea behind of each and every tech, however, AI is capable of much more and the experts agree with this argument as well. Imagine Google platform without having the integration of AI. The very thought is disturbing. With the click of a button, you are able to plot, get data from some of the different set of websites and draw insightful illustrations using Google Finance and Google Sheets. The Voice Assistant google created is purely based on the principles of AI. You are talking to an AI every day. It is helping you navigate the websites, check your emails, do your tasks on time, call someone without taking your phone from your pocket. All of this comes under the part of the customer experience. Google is the only company which has a very broad and wide platform of AI. That is one of the main reason that we are talking about it now. Companies nowadays which are showing interest in AI is praiseworthy. The fact that people are showing some of the real interest in learning AI and Machine Learning is another proof how much we love to see AI in a real-time environment. So, what exactly is the role of Artificial Intelligence in the field of Customer Service? Customer service units in any company are linked with people talking into their headsets or typing away answers with the help of a Live Chat. Think about a day where one program can answer all your customers’ queries and that too with an ease. For that, now you don’t need to employ a big tech support team of people to solve the queries of your customers. You don’t need to buy a ton of equipment to run that team, all you need to do is build a much more intelligent chatbot that can give instant answers to all your issues and queries. This is the true meaning of quality service of a customer. 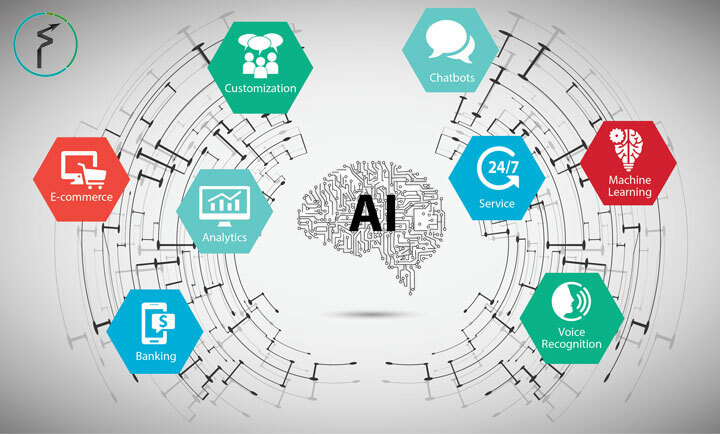 If any of the company still wants to give its clients/users/customers a true customer service experience with real agents sitting in a room and clearing queries, that is still fine because there are a lot of operations within that room which can be easily automated with the help of this word ‘AI’. The transformation into AI systems is totally inevitable, it is only a matter of time. Being company in the year 2018 to stay relevant you need to modify and configure your systems to use AI. Machine Learning is a great concept which is having a broad concept of algorithms which gives great support and flexibility to the AI application. If your company cares about customer service, it is better to adapt AI and make it more pleasant way by using in the services.